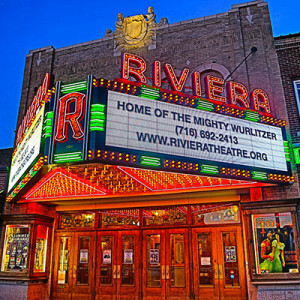 The historic Riviera Theatre, built in 1926, is located in North Tonawanda, NY. With the establishment of the Foundation offices in North Tonawanda, the East Hill Foundation Board decided to replicate a model used by the Foundation in other communities – funding to a specific geographic area. The East Hill Foundation welcomes inquiries from nonprofit, 501(c)(3), organizations located in and serving the City of North Tonawanda. Grants are available in amounts of $50,000 and under. To be eligible, nonprofit organizations must be headquartered in North Tonawanda and must serve the North Tonawanda area. The North Tonawanda Grant Applications are by invitation only, and the due date is April 8, 2019. For questions, please contact Michele Schmidt at mschmidt@easthillfdn.org or call 716-204-0204. East Hill Foundation strictly adheres to the application deadline dates. Site visits are generally scheduled after receipt of a grant application. 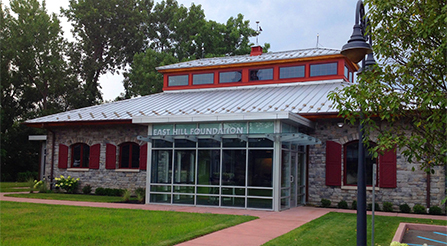 The Board of Directors of East Hill Foundation will make final decisions. Organizations are notified in writing as to the Board of Directors’ determinations. East Hill Foundation is able to fund only a limited number of the requests received. Only one application per organization may be considered. All organizations receiving a grant from the Foundation are required to sign a formal grant contract and complete a final grant report at the conclusion of the grant period. Interim progress reports may also be required. *Note: The North Tonawanda Grants are by invitation only. An access code is needed to apply. Please contact the East Hill Foundation office at 716-204-0204. 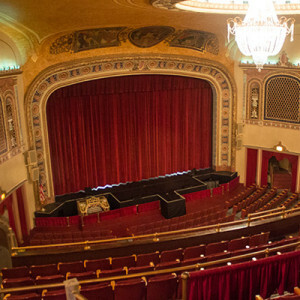 Mission: To preserve and maintain the historic theatre and the Mighty Wurlitzer Organ and to promote the performing arts. We welcome your participation as a donor!